Rackspace, a managed service provider featured in our free buyer’s guide, has taken a new approach to their services. Specifically, they want to increase flexibility for clients at each step of their cloud journey. The new approach centers around Rackspace Service Blocks, Managed Infrastructure as Code, as well as new multi-cloud capabilities. With help at each phase of a cloud journey, enterprises won’t need to worry about falling behind their competition. In addition to the new approach, Rackspace today announced the expansion of their Private Cloud as a Service portfolio with VMware. The Rackspace Managed VMware Cloud on AWS allows users to deploy workloads across clouds in any location, enhancing multi-cloud capabilities. A flaw with managed service providers often stems from multi-cloud deficiencies. Although many offer services for AWS, Azure, and Google Cloud, they don’t have the ability to manage them together. Thus, this release will certainly cause some changes in the MSP market. Designed to help anywhere in a cloud journey, service blocks deliver cloud services for specific cloud needs such as architecture, deployment, operational support, cost governance, and complex cloud operations. These service blocks provide the flexibility to change and/or grow cloud services as customers innovate and their needs evolve. They also come completely transparent about the cost and value of each. Managed infrastructure as code delivers scalable, opinionated implementations. These include automation, governance, as well as a standardized continuous integration and delivery pipeline. This enables customers to realize the benefits of today’s modern cloud by describing environments in code so they can be efficiently and predictably tested and deployed using DevOps methodologies. Rackspace’s certified cloud experts provide opinionated, data-based guidance to identify the best-fit public cloud infrastructure for customers. As part of the solution and architecture planning process, these experts use approximately 100 technical and commercial factors through a proprietary methodology to ensure optimal workload performance. For customers seeking a deeper level of assessment, Rackspace Professional Services now offers performance testing and deep application assessments across public cloud platforms. A unified cloud management experience across AWS, Azure and Google Cloud Platform makes it easy for customers to manage multiple public clouds. This includes consolidated billing, unified ticketing, monitoring and alerting, and consolidated user and account management. Rackspace experts certified in multi-cloud deployments provide unbiased guidance and consulting across architecture, migration and cloud transformation strategies. 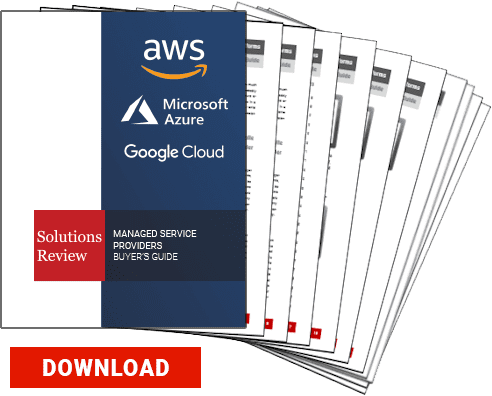 And, with VMware Cloud on AWS providing direct access to native AWS services, Rackspace guides customers in identifying a best-fit solution that serves their business needs. This portfolio helps customers integrate services and utilize APIs across VMware and AWS platforms. An entrepreneur and executive with a passion for enterprise technology, Doug founded Solutions Review in 2012. He has previously served as a newspaper boy, a McDonald's grill cook, a bartender, a political consultant, a web developer, the VP of Sales for e-Dialog - a digital marketing agency - and as Special Assistant to Governor William Weld of Massachusetts.